Fight for direct promotion is still on, but this time Leeds United is second. Norwich City still holds the first place although they couldn’t win against Reading on Wednesday. Fight for survival is getting insane and there will be a lot of action in Championship this weekend. These are out predictions for this weekend. For me, this will definitely be the biggest game this weekend. Aston Villa is finally back in play-offs and they have won all of their last seven matches. Bristol City has a game in hand, they are also currently in play-offs but their form hasn’t been the best lately. I definitely expect a lot of goals here, both teams are having an attacking mentality and both teams will be looking to get a win here. This is a game between direct rivals and it is hard to say which team has a better chance to win, but for me it has to be Aston Villa. They are playing at home, they have a better squad and at the moment they are in far better form. Derby County has been in awful form lately, they are having a game in hand, but they are losing important points. Losing in Blackburn was far from what they had to do in their last match, but this weekend at least they have a much easier opponent. Bolton Wanderers has been one of the worst teams in Championship when it comes to the away performance. Their form lately is awful and they have even lost to Ipswich Town. Considering that Derby County is playing at home, they definitely have to win this one. Both teams are fighting for survival but they are in quite different places. Ipswich Town is last on table and they will most likely play in League One next season, Birmingham City on the other side could’ve fight for play-offs if there wasn’t for an incident against Aston Villa. Birmingham City is by far better at home, but they never had a problem playing against teams at the bottom. I expect them to dominate the game, to gain more possession and create more chances. 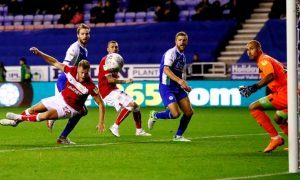 Middlesbrough has finally broken their losing run with a win over Bolton on Tuesday. They will once again aim for play-offs, but they have to rely on Aston Villa or Bristol City losing as many games as they can. 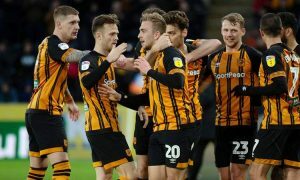 Hull City is also fighting for play-offs and they have proved that they have the mentality to continue this fight until the end of the season. It will not be easy for Middlesbrough to get a win in front of their own fans against their direct rivals, but Tony Pulis need to continue the winning run in order to reach play-offs. Nottingham Forest is slowly losing their chances of getting a promotion this season and for a team that spent as much on summer as they’ve did, this will be one of the most disappointing seasons lately. 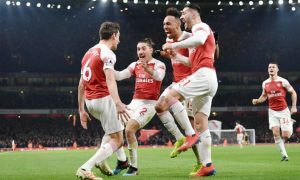 However, they still have a slight chance of reaching play-offs and they will most certainly work hard in order to achieve that. Blackburn Rovers have been a tough opponent this season, but their form lately has been far from good, especially away from home. Swansea City has actually been in great form lately and with a game in hand they have as much chances to reach play-offs as Nottingham Forest. Queens Park Rangers have sacked Steve McClaren as they are hoping to improve their form. They were unlucky not to score against Millwall where they’ve dominated a game, but this time I expect them to show more fight and perhaps stop Swansea City in their fight for promotion. This will definitely be a tough match and I expect both teams to keep a clean sheet on Saturday. After getting a point in away match again Norwich City, there is a pressure on Reading that they have to win this one at home. Brentford has been good this season, but their away form has been awful. They’ve managed to get some win, but their overall away form is far from what any team is looking for. 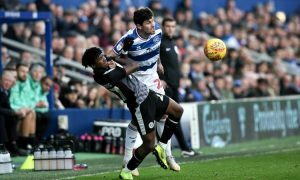 Reading has been amazing under new manager and they have really been a tough opponent since January. I expect them to survive this season and I expect them to win this one on Saturday. Sheffield United has lost important points against Birmingham City, but to be fair to them they’ve managed to get at least a point in Birmingham while Leeds United lost a game there recently. This time, Sheffield United simply has to win. They play at home, they have an easier opponent and if they lose points again they can say goodbye to direct promotion try their luck through play-offs. I expect Sheffield United to create more chances here and score more than one goal on Saturday. Rotherham United has been in insane form lately and although they are still in relegation zone, it looks like they are really determinate to stay in league this season. They are playing with confidence, they are winning games but their away form hasn’t been so good this season. Stoke City has lost their last match against Swansea City, but their current form is quite good. Although they are having troubles to find a back of the net, I believe that they can get a win against Rotherham United at home. Both of these teams are in bad form at the moment, Preston North End has lost their last three games, while West Bromwich Albion has lost their last two. 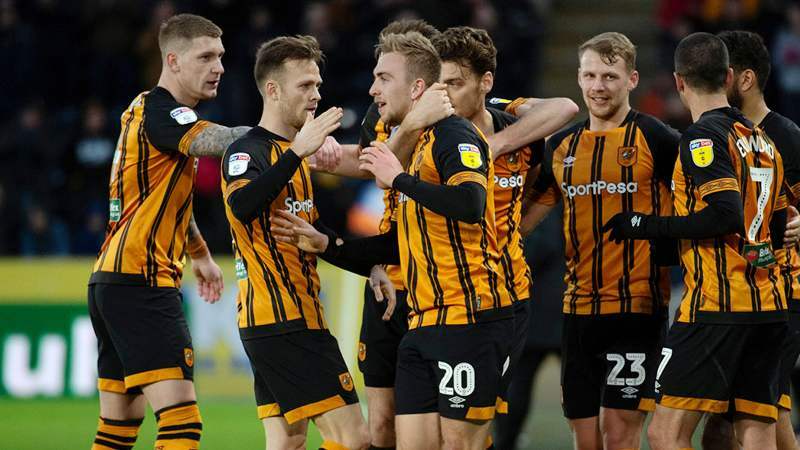 Preston North End is hoping to get back in fight for play-offs and West Bromwich Albion will look to get back in fight for direct promotion. It’s hard for any of these two teams to achieve their goal, but I am certain that West Bromwich Albion is having a better team and with advantage of playing at home, they should be winning this one. 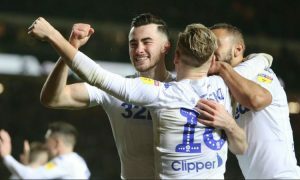 It hasn’t taken much for Leeds United to get back on second place, but now they have to keep winning in order to stay second. Sheffield Wednesday has been excellent under Steve Bruce but it will be a tough challenge for them to get a win against Leeds United away from home. Patrick Bamford is in good form currently, he scored both goals against Preston North End and I expect him to score again on Saturday. I expect a tough game, but home team should be winning this one. The last match this weekend and the only one that will be played on Sunday is match between Wigan Athletic and Norwich City. When it comes to Norwich City, they have ended their winning run on Wednesday against Reading but I don’t expect them to make the same mistake on Sunday. 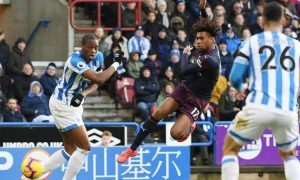 Wigan Athletic is excellent at home and they are fighting for survival so I expect them to give a good fight, but I don’t think that they are good enough to get a good result against Norwich City.